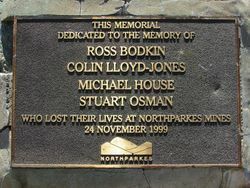 Monument commemorates those who lost their lives in the North Parkes Mine in 1996 and 1999. 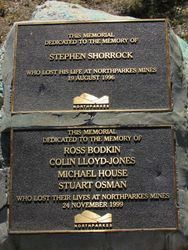 A massive blast in 1999 killed four miners and trapped 30 others underground for several hours. 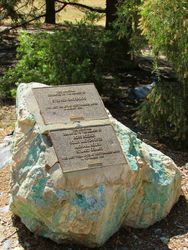 The accident at the North Parkes gold and copper mine happened when an airpocket between the ore body and the main underground area exploded. 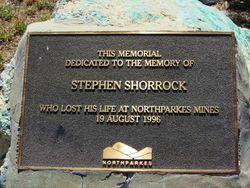 Thirty-five workers were underground at the time instead of the usual 12, because the mine was shut for a routine maintenance day, according to an official of North Ltd, co-owners of the mine with the Japanese Sumitomo Group. 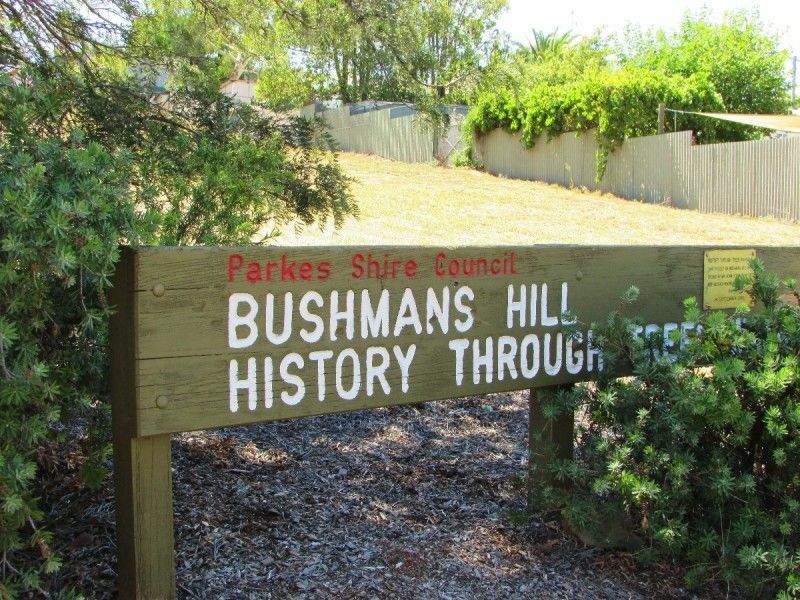 The blast was so great a depression was left on the ground surface where the ore body sank in at the mine, 30 kilometres from the central-west town of Parkes. 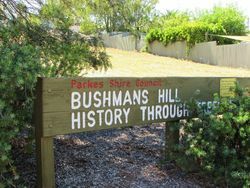 Monument may be moved due to destruction by vandals.